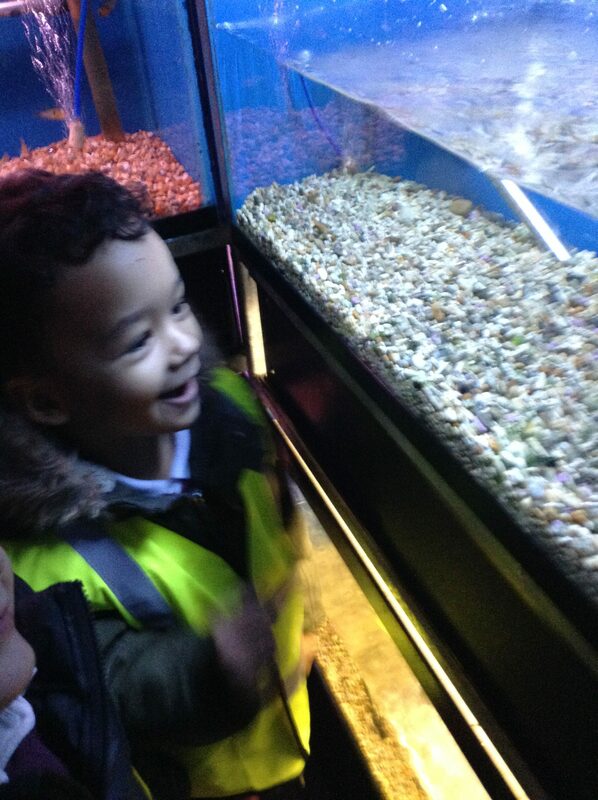 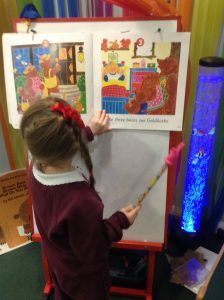 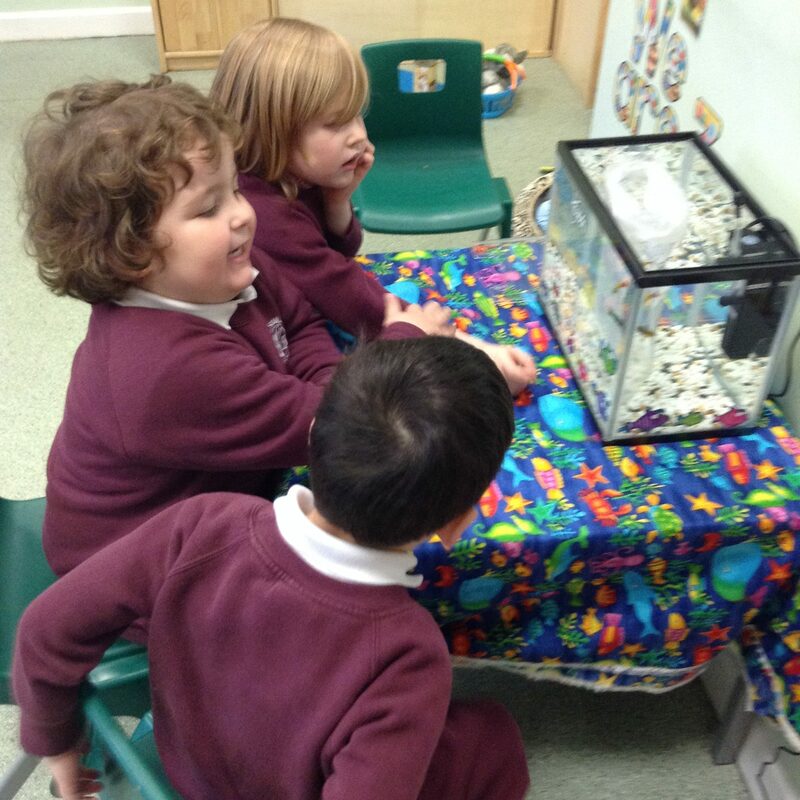 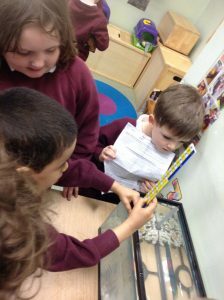 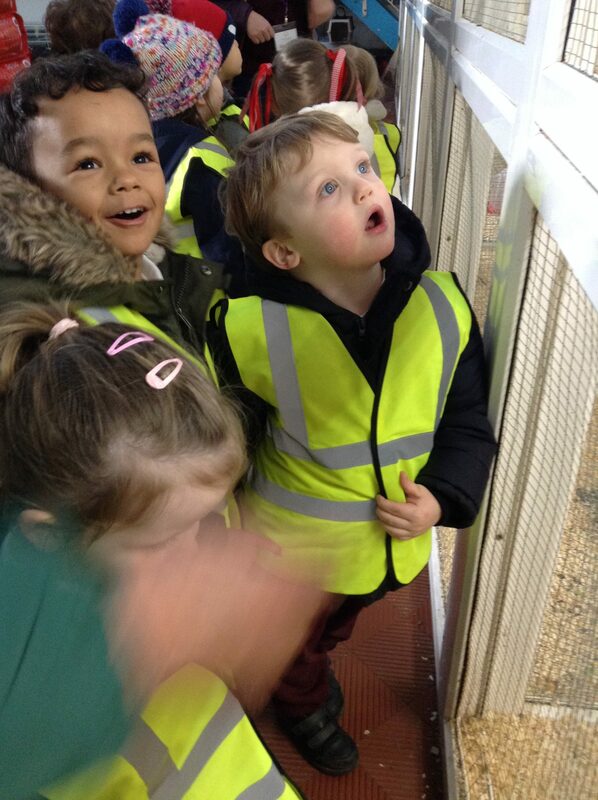 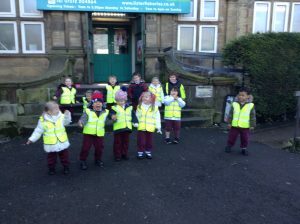 Our visit to the pet shop using the school minibus. 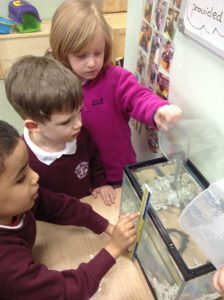 Following our visit we decided to buy some fish to look after. 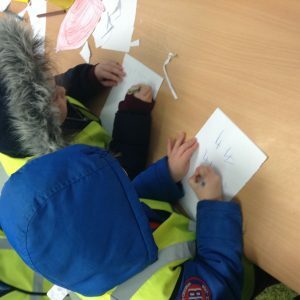 We wrote down names we would like to call them then voted for the ones we liked best. 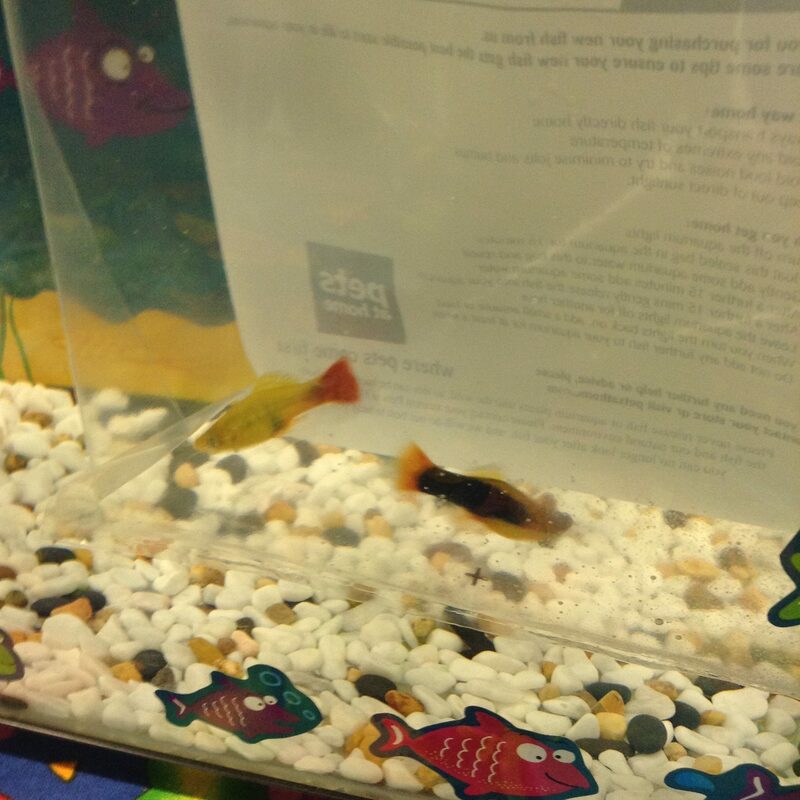 Meet Shimmer and Shine. 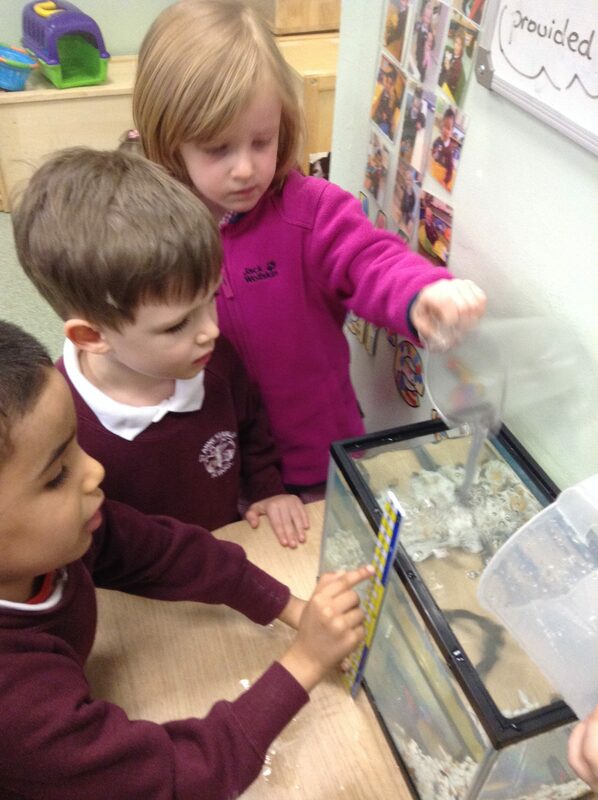 Before buying our fish we had to get the tank ready. 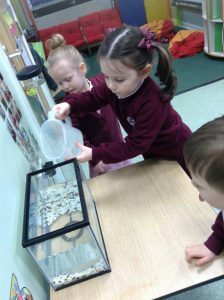 The tank had to be filled leaving 1 cm at the top. 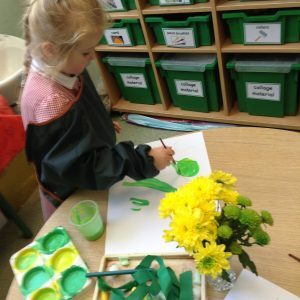 Spring means new life and change in the world around us. 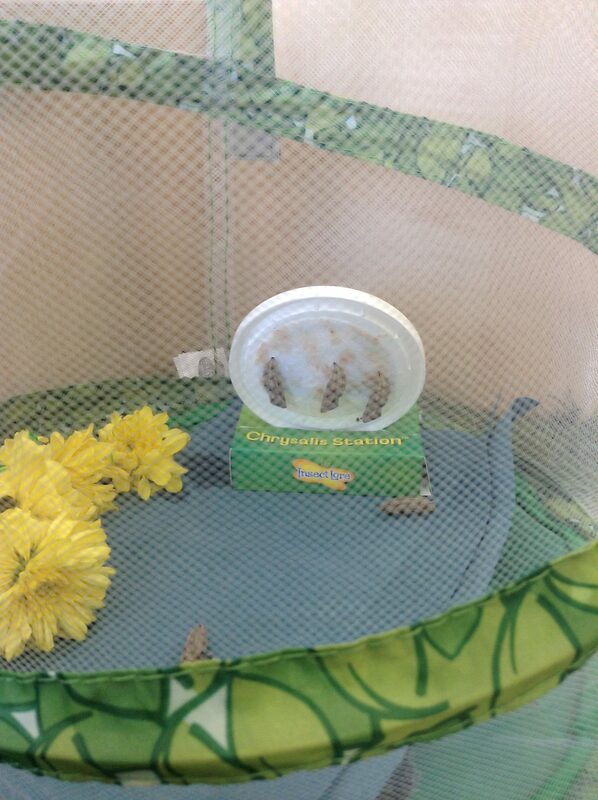 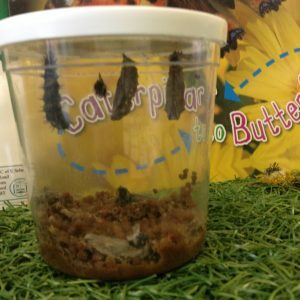 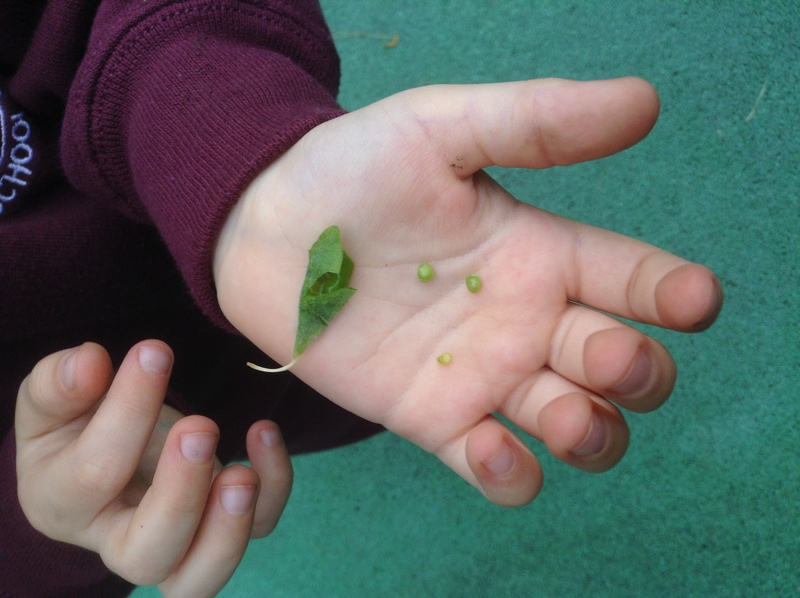 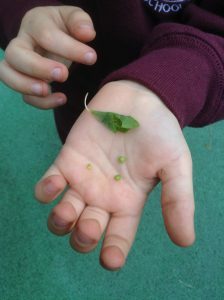 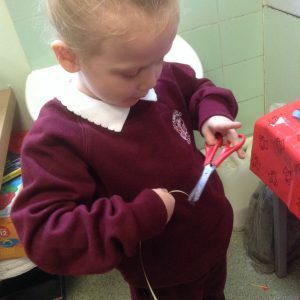 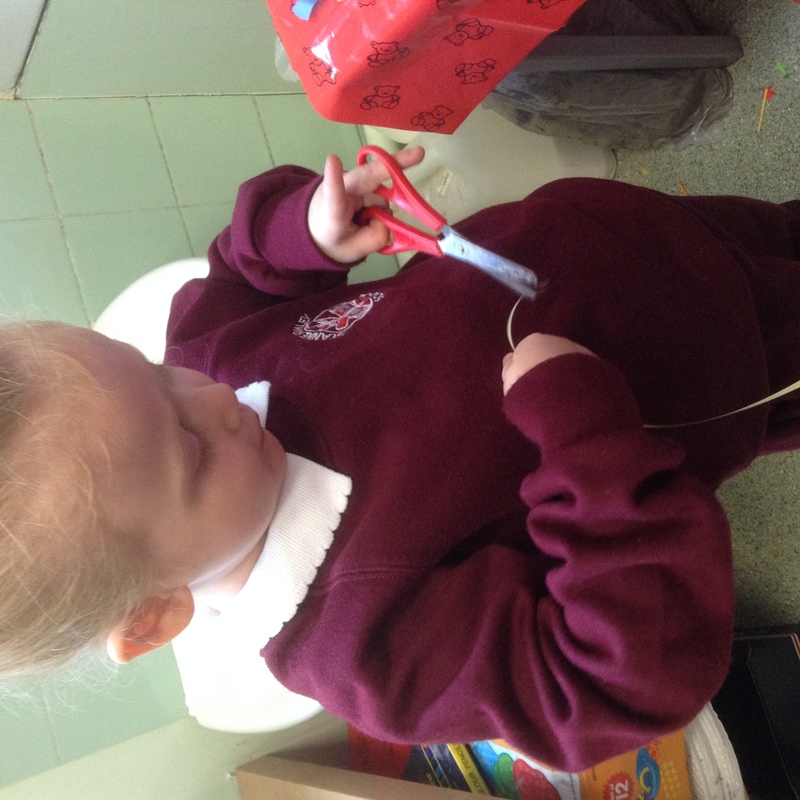 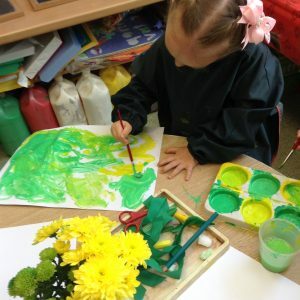 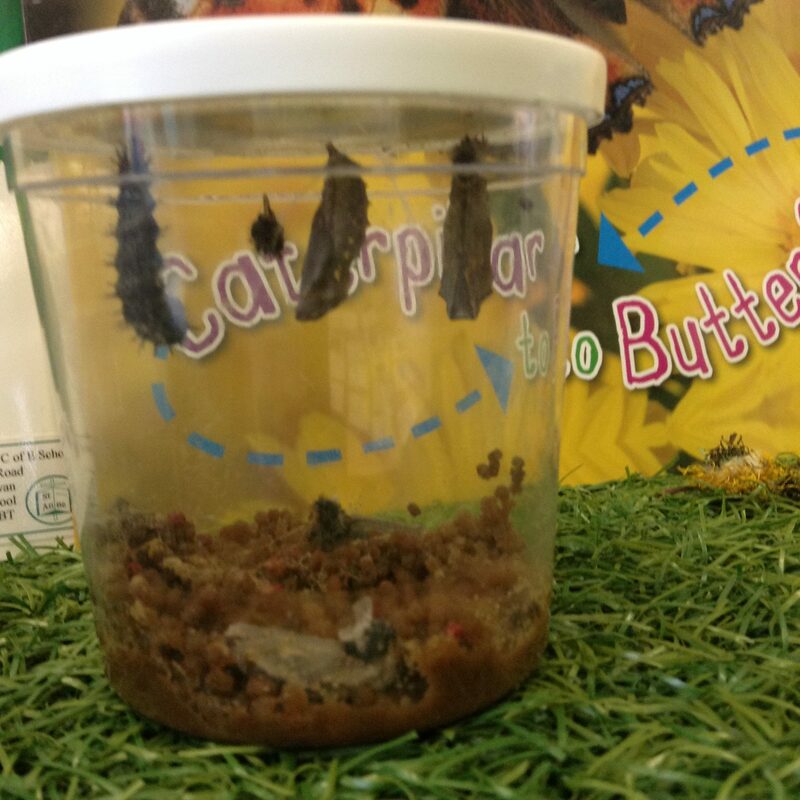 We have been watching the change which happens from an egg to a butterfly. 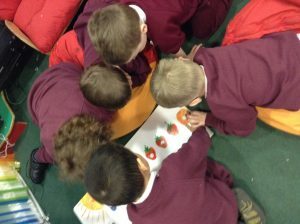 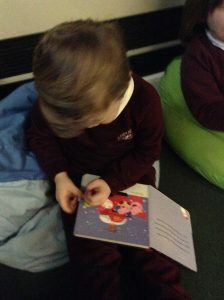 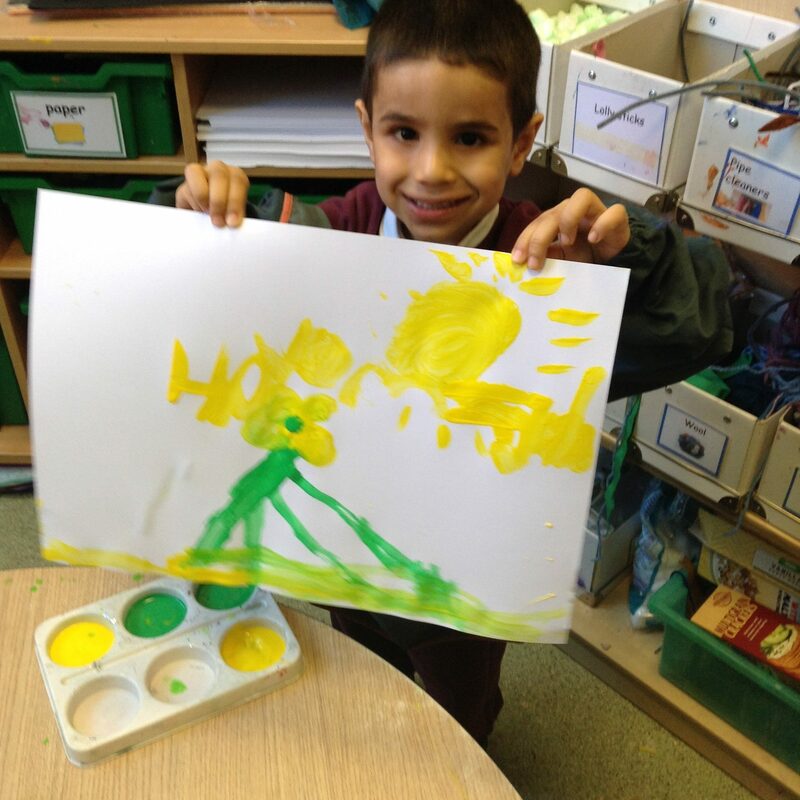 We really enjoyed the story of The Very Hungry Caterpillar. 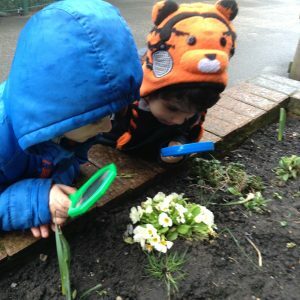 We looked carefully at flowers. 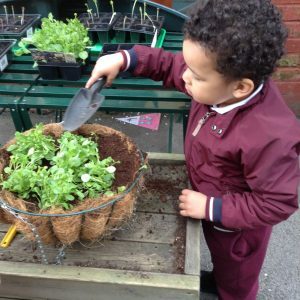 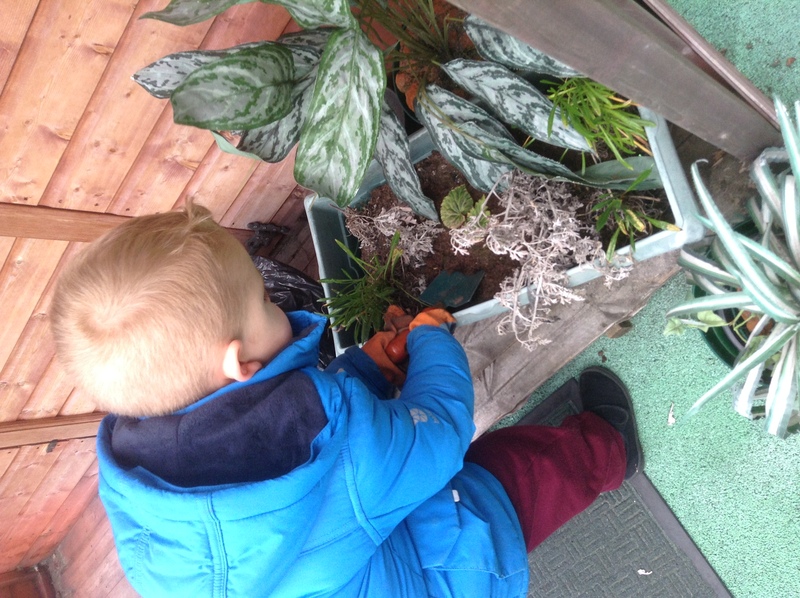 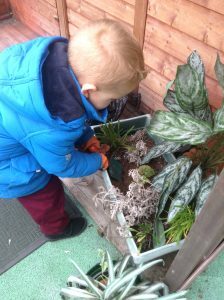 We have also been planting and remembering to water each day. 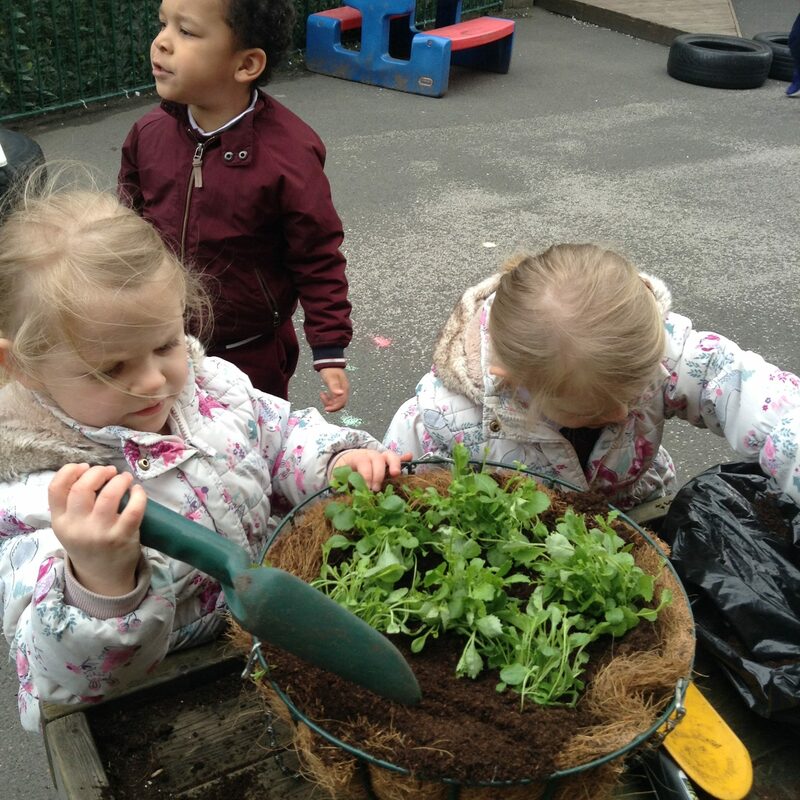 Before planting we weeded the flowerbeds so the plants could grow well. 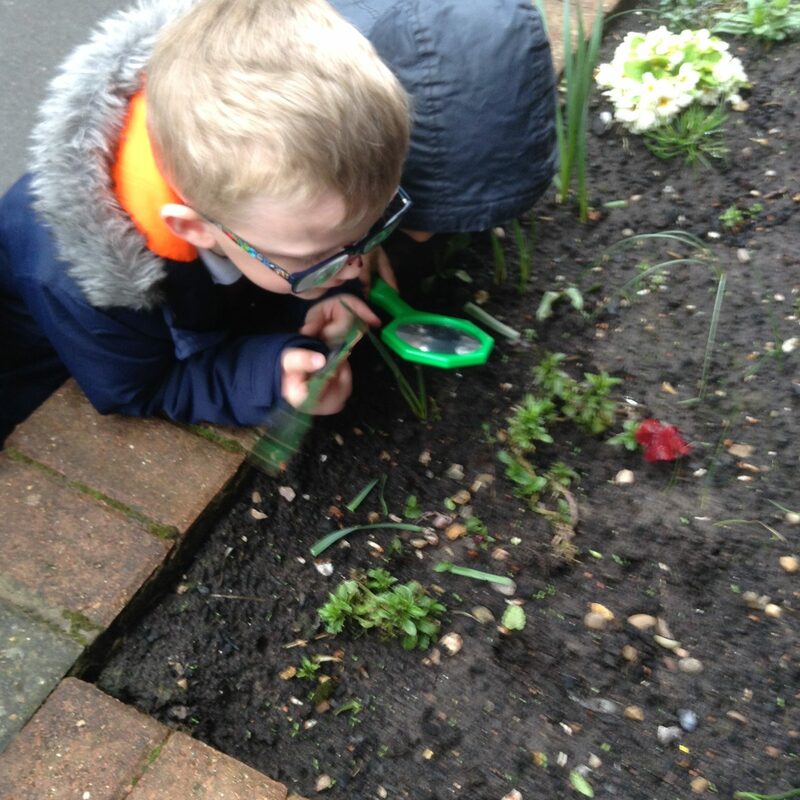 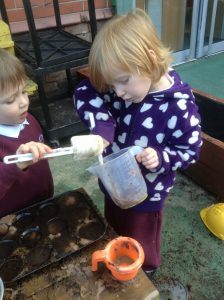 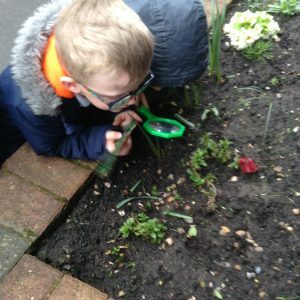 We spotted lots of insects and worms in the soil. 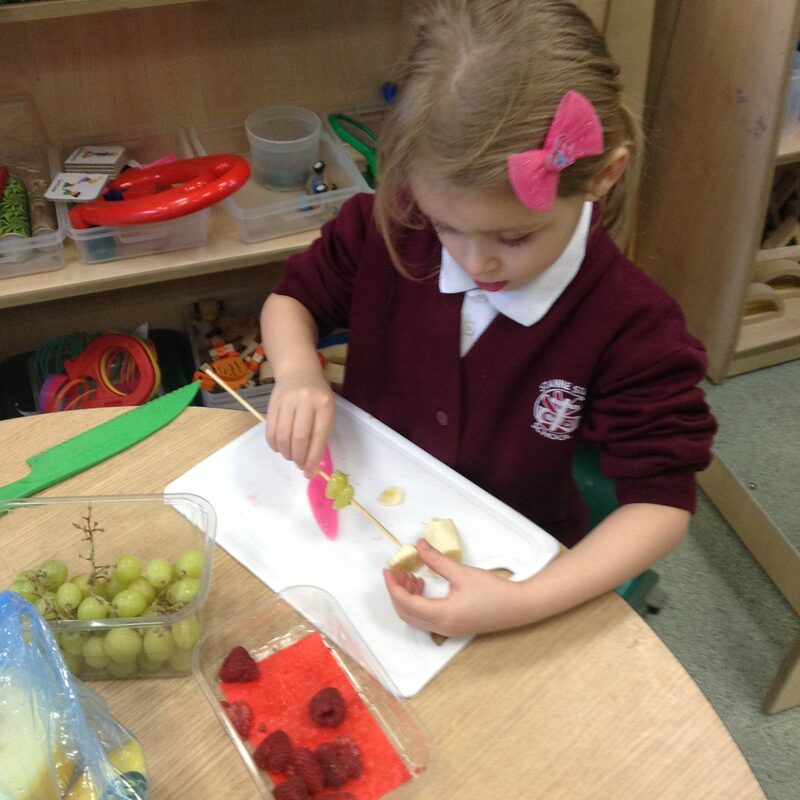 Making fruit kebabs was fun but first we had to make a shopping list and then buy the fruit we wanted to use. 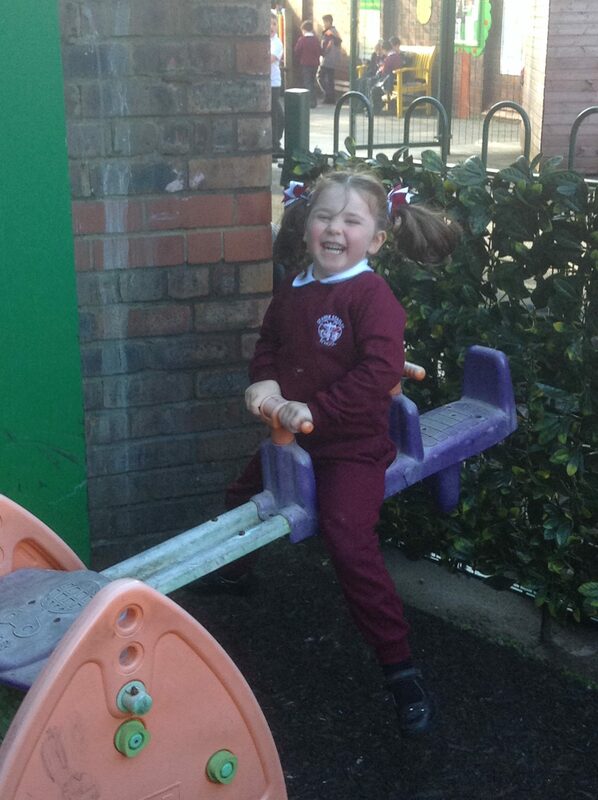 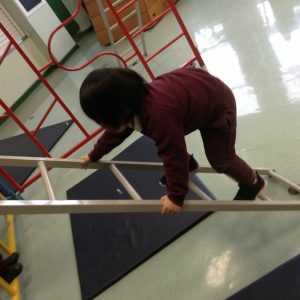 In PE we are growing in confidence when using the climbing frame. 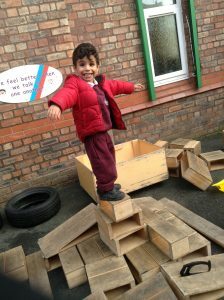 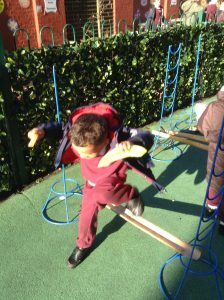 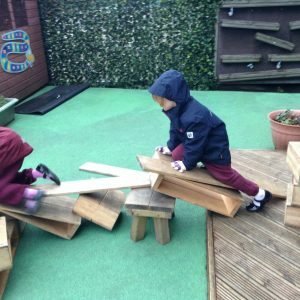 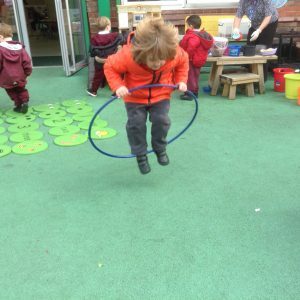 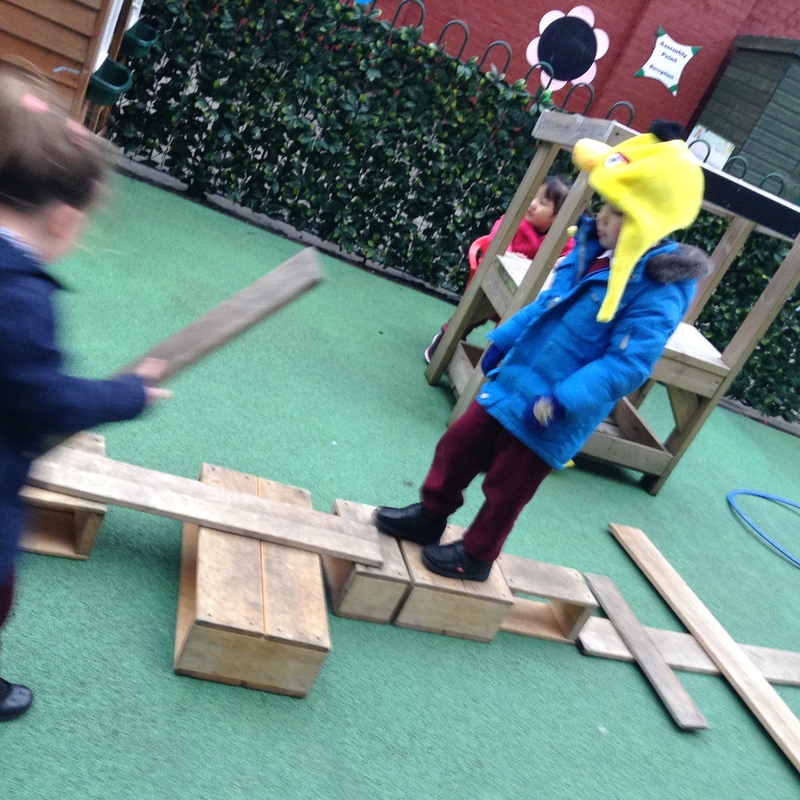 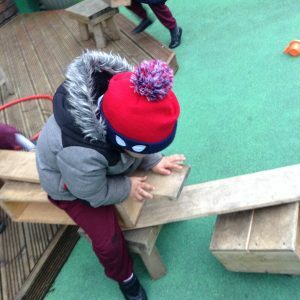 In the outdoors we have been making our own obstacle course. 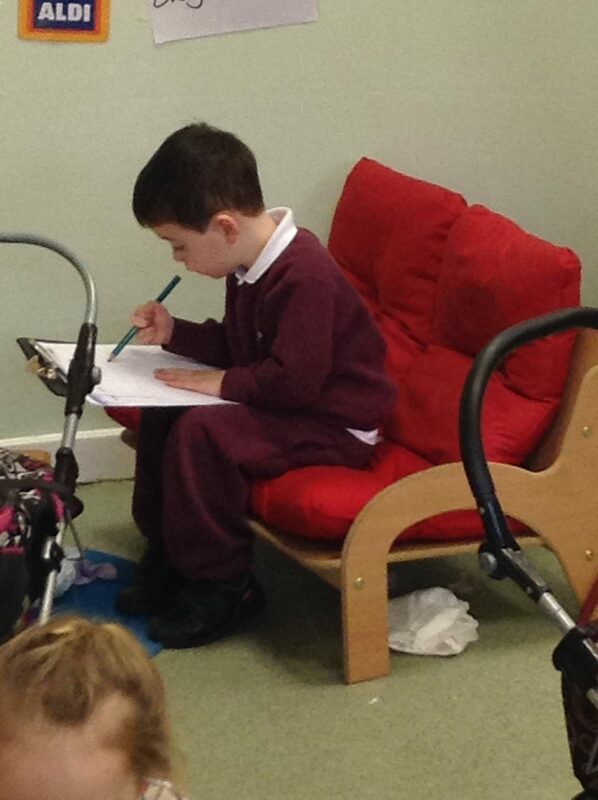 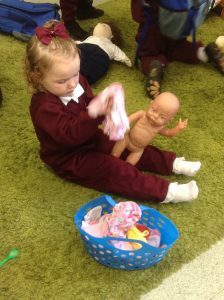 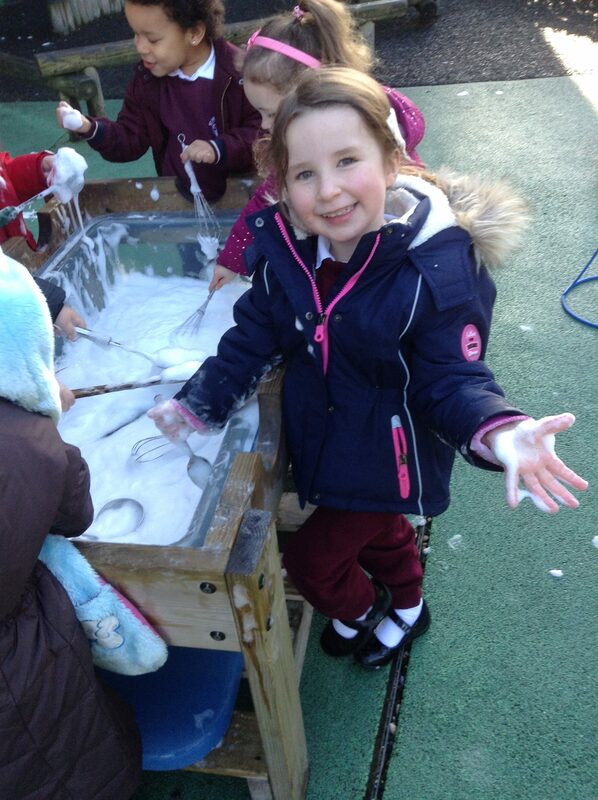 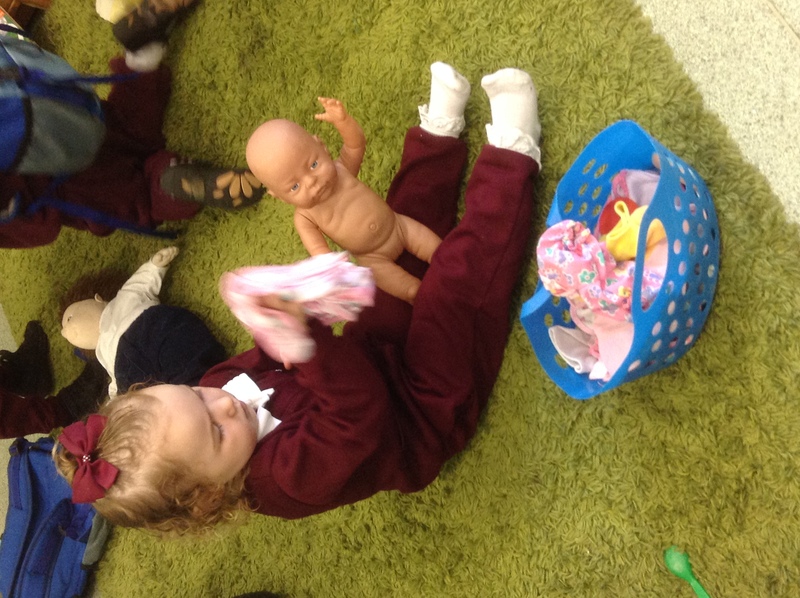 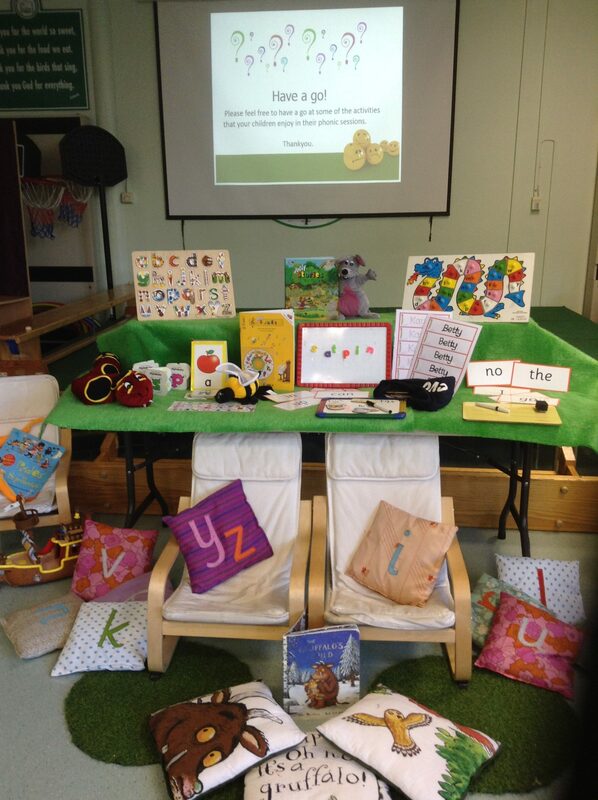 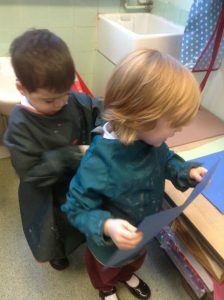 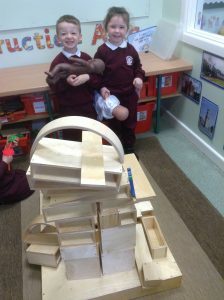 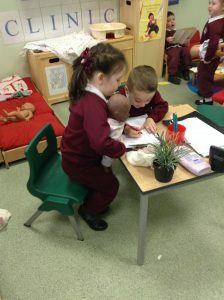 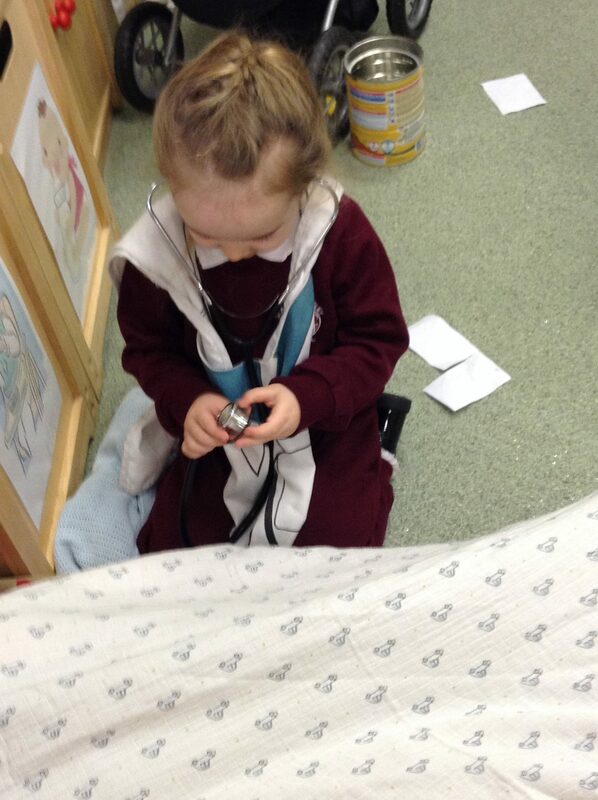 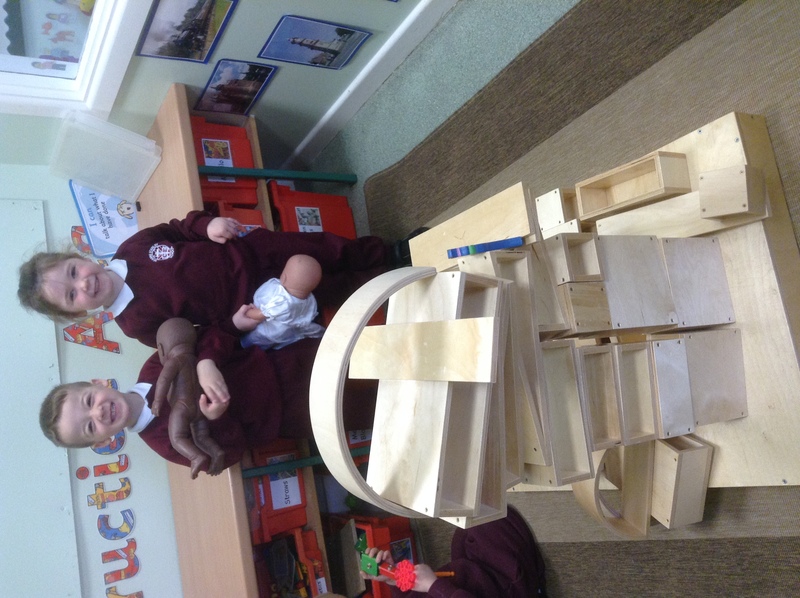 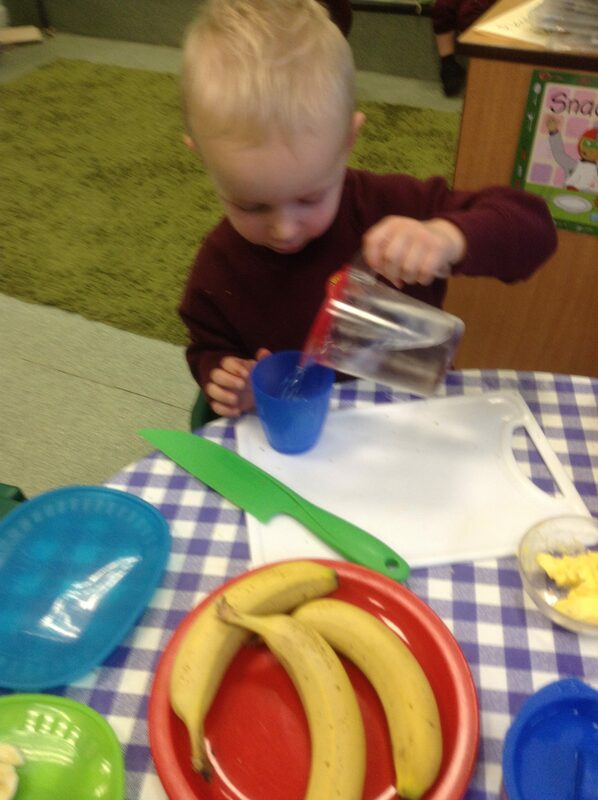 Playing and learning in the new role play area. 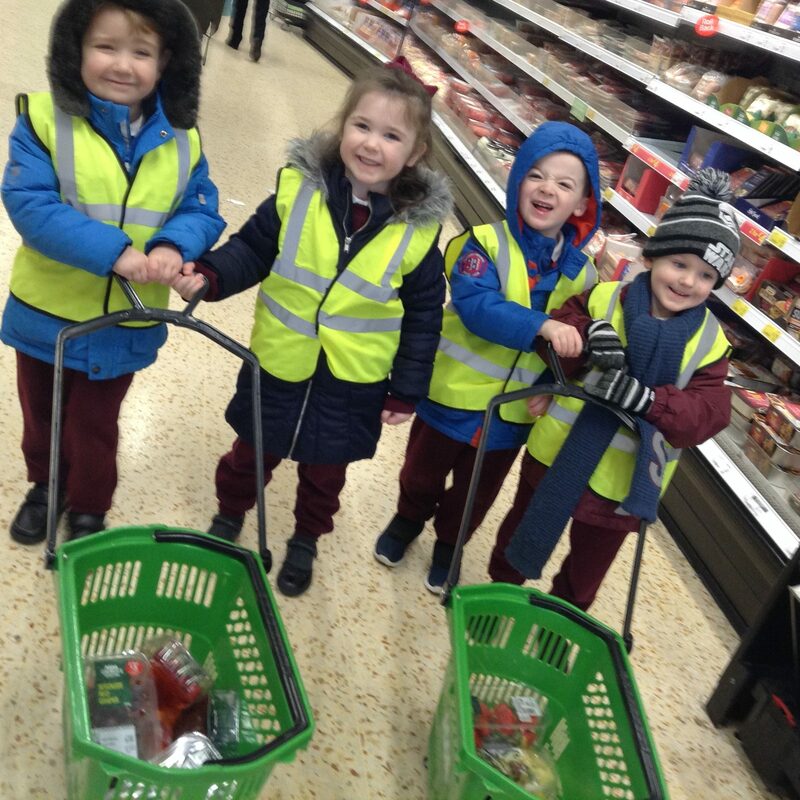 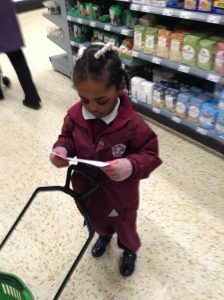 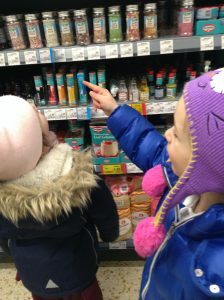 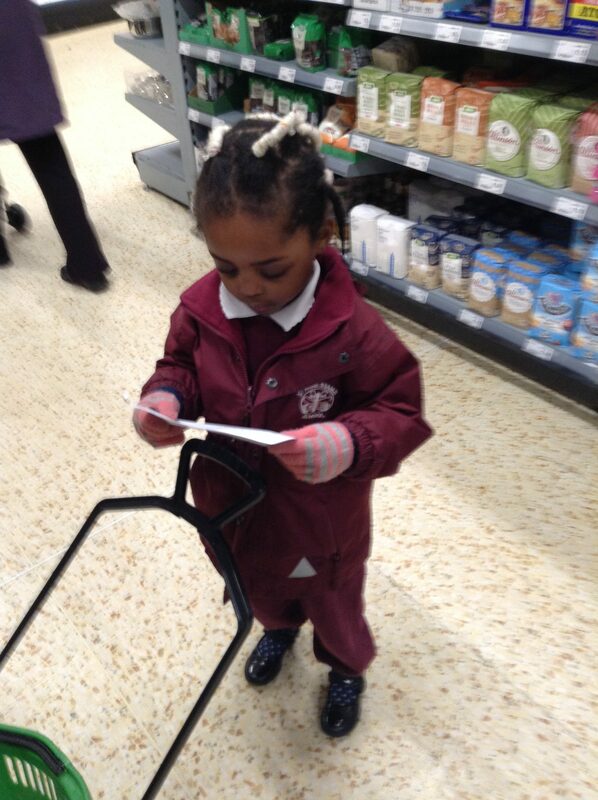 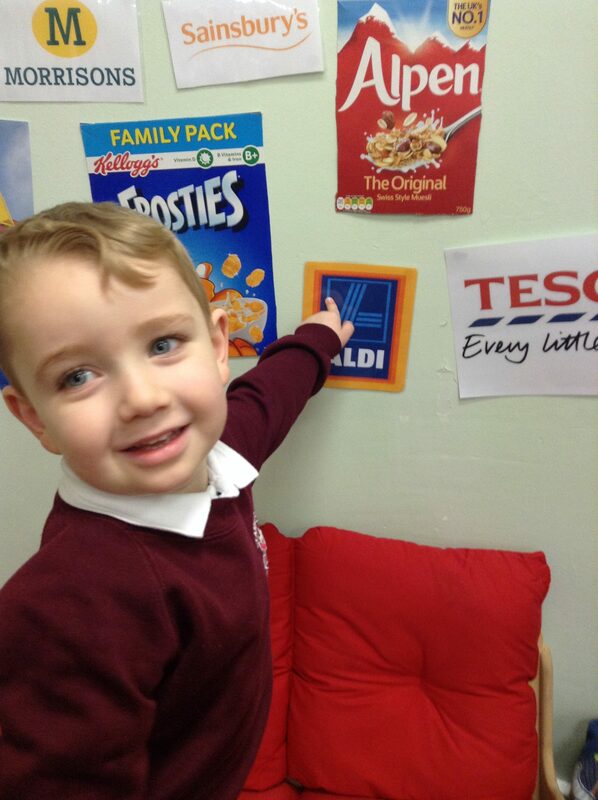 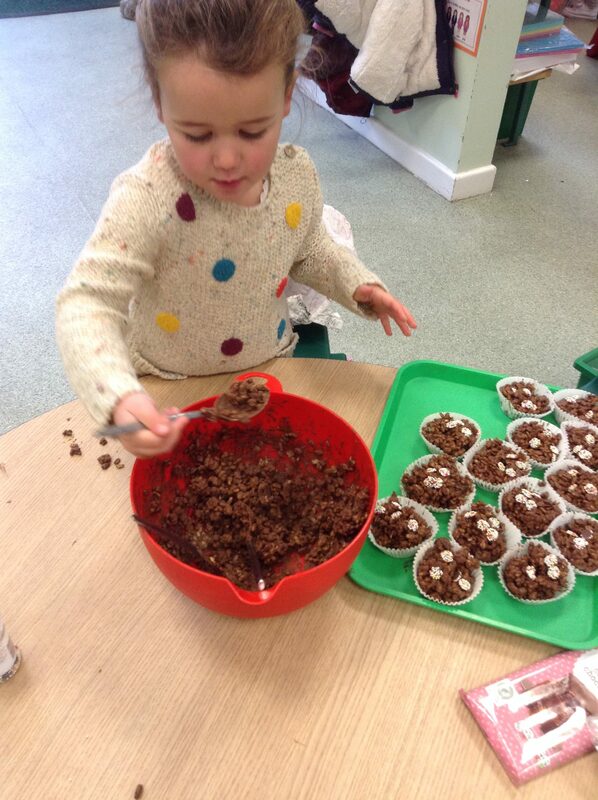 We have been shopping to buy ingredients for a surprise birthday cake. While we were there we also found some nappies to put in our new role play area, “The Baby Clinic”. 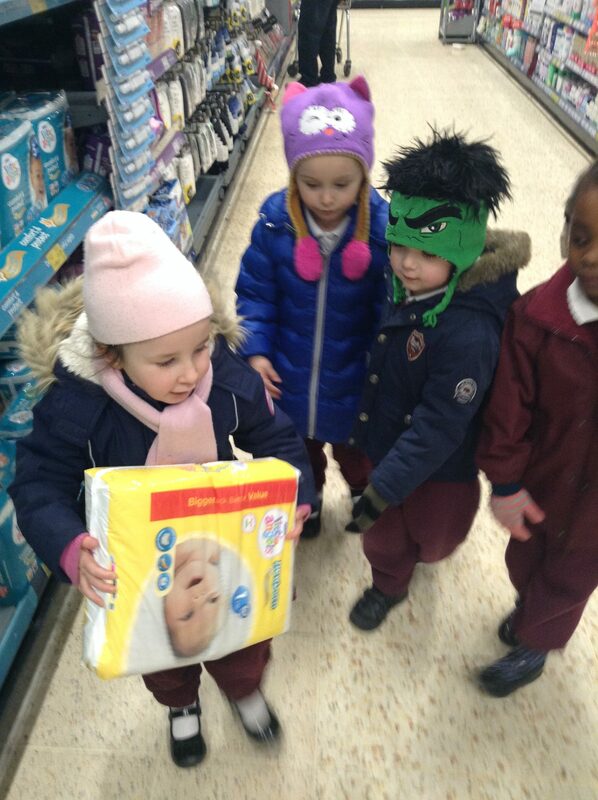 We checked our shopping list before we left to make sure we hadn’t forgotten anything. We are becoming more independent. 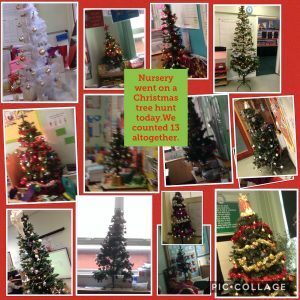 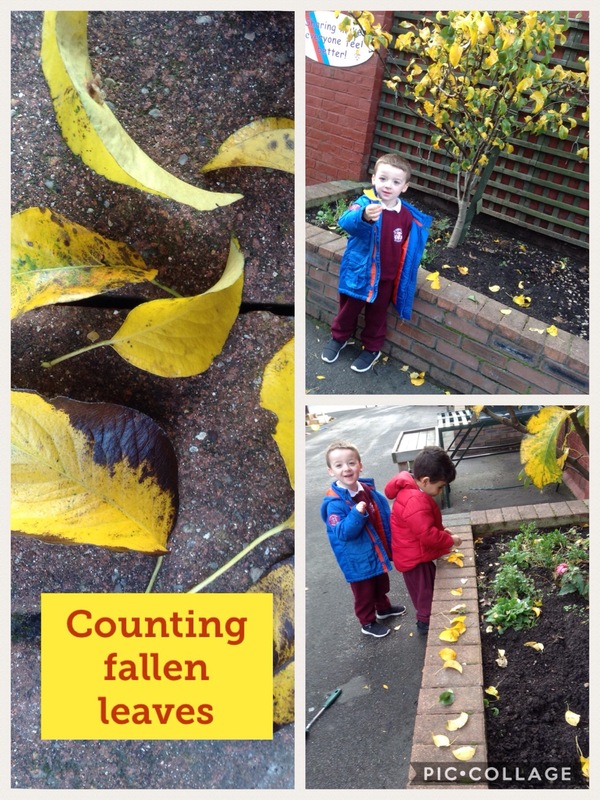 The weather has been freezing so we have been exploring “change”. 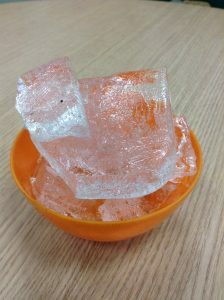 We collected the ice we found in the outdoor area then brought it inside. The next day the ice had disappeared! We then talked about how we could turn it back into ice again. 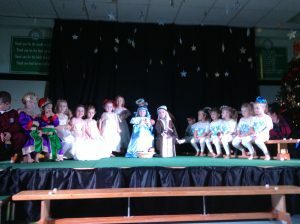 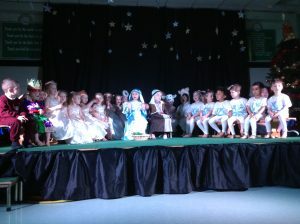 Our teachers and families were very proud when we performed the story of The First Christmas. 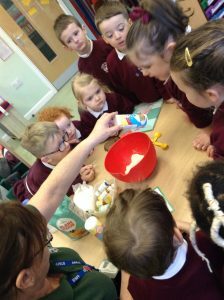 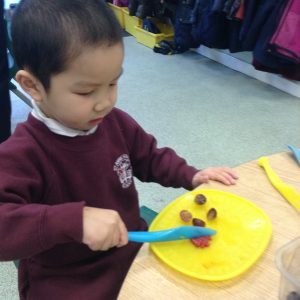 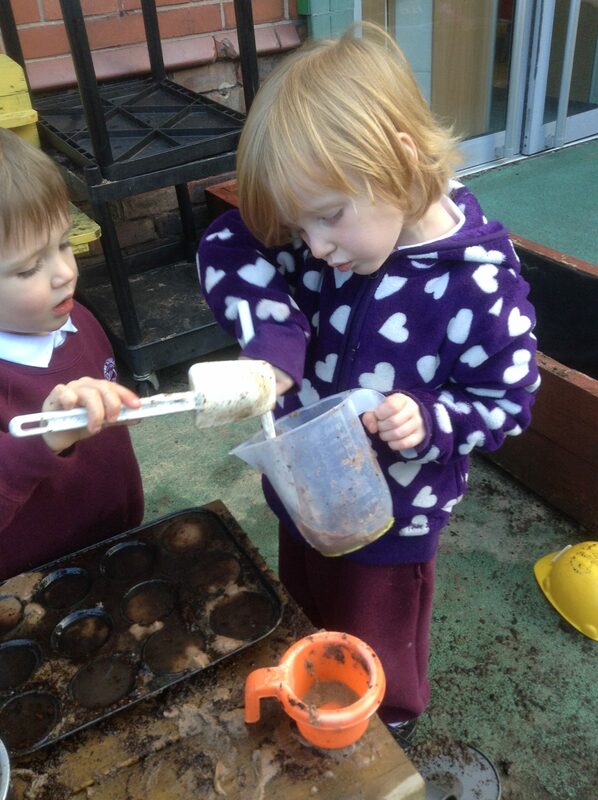 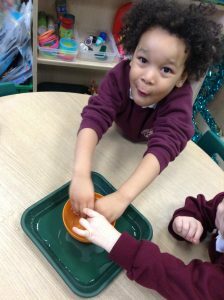 We make our own play dough to use each week. 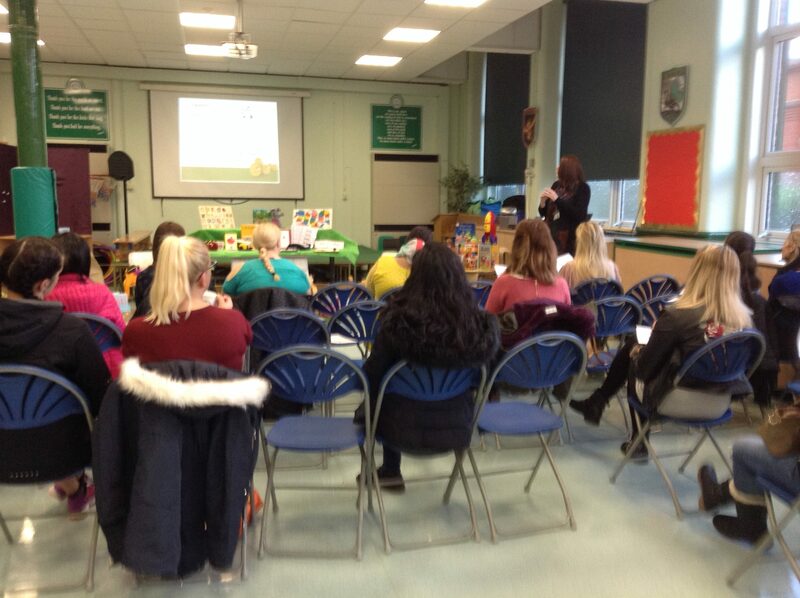 Thanks to the parents who were able to attend the Parent Phonics Workshop. Once a week we have Music with Mr Lucas. 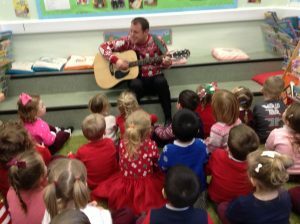 He is the school Music specialist. 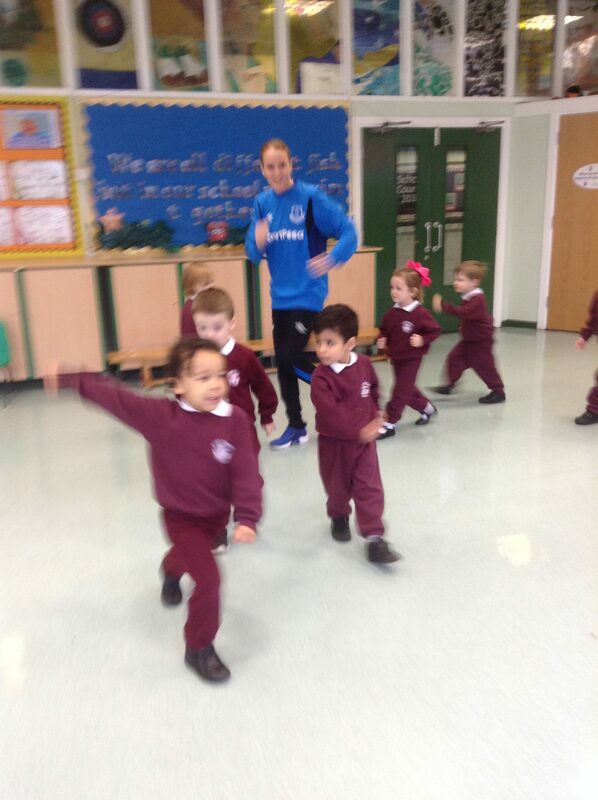 Once a week we have PE with Miss Quinn. 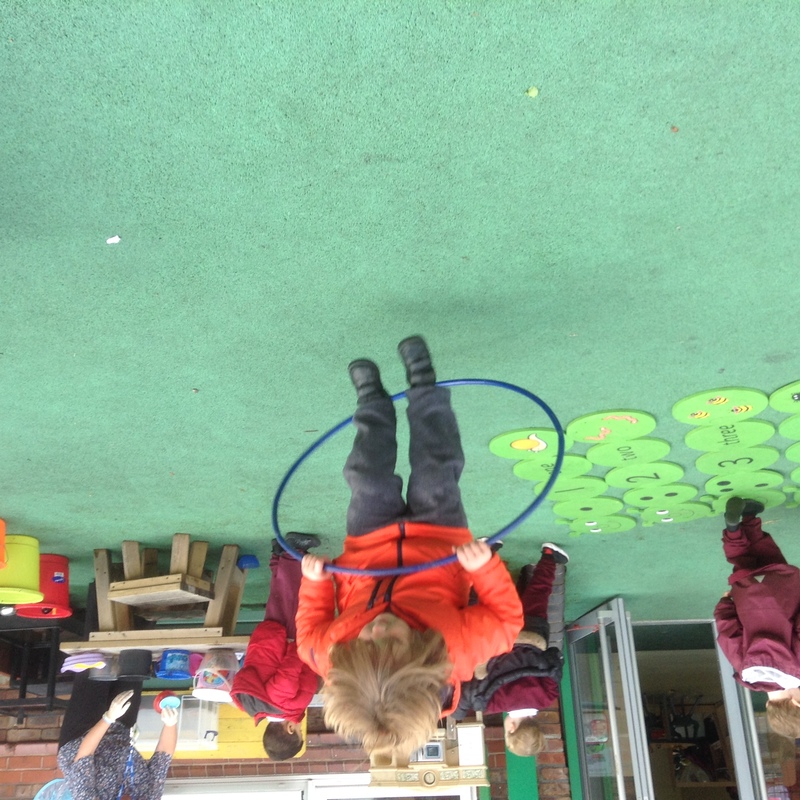 She is the school PE specialist. We enjoy learning in the outdoors. 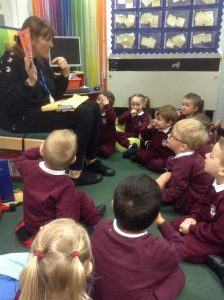 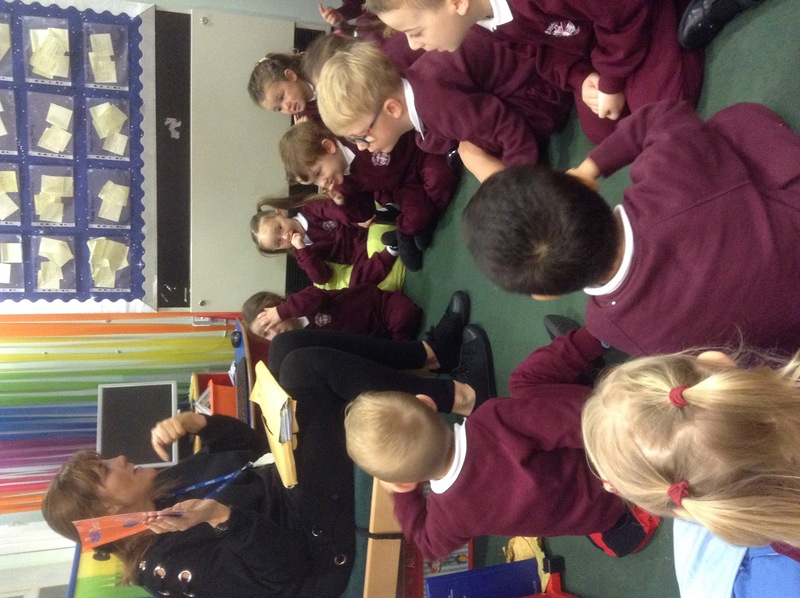 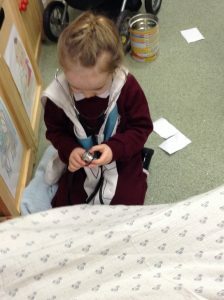 We had a visitor from Stoneycroft Children’s Centre who talked to us about how important it is to look after our teeth. 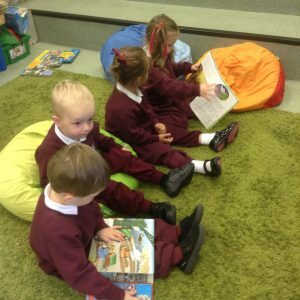 Welcome to the new school year. 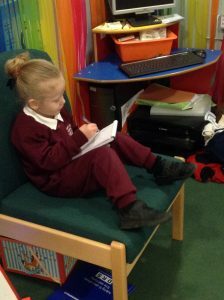 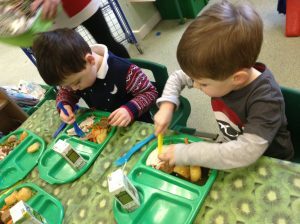 The children are settling in well, becoming familiar with daily routines and building up relationships with each other and staff. 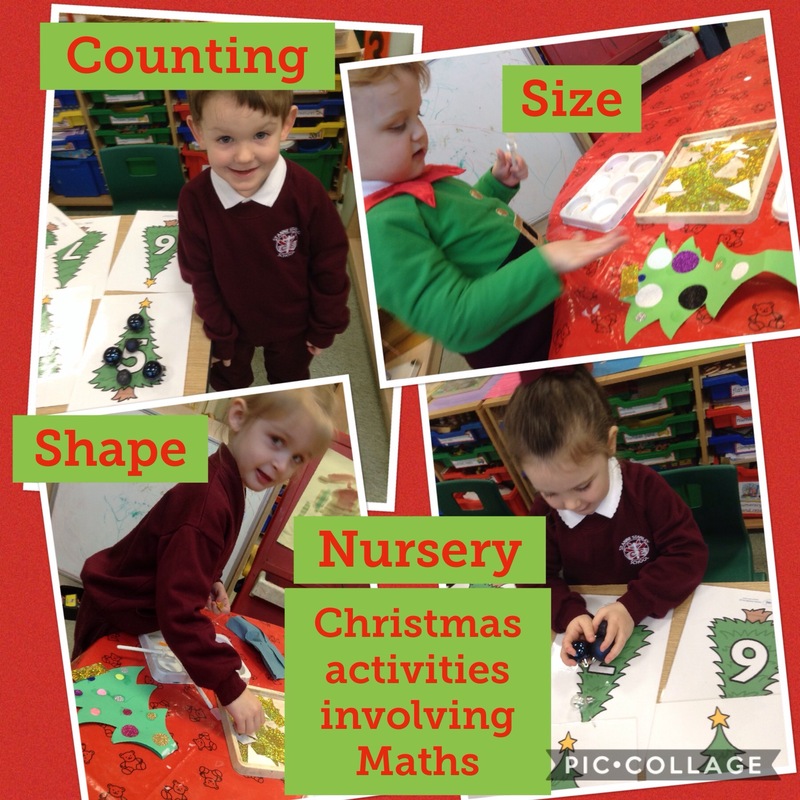 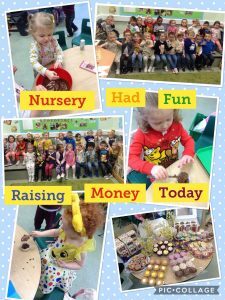 Below are some of the activities we have enjoyed. 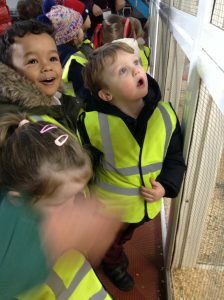 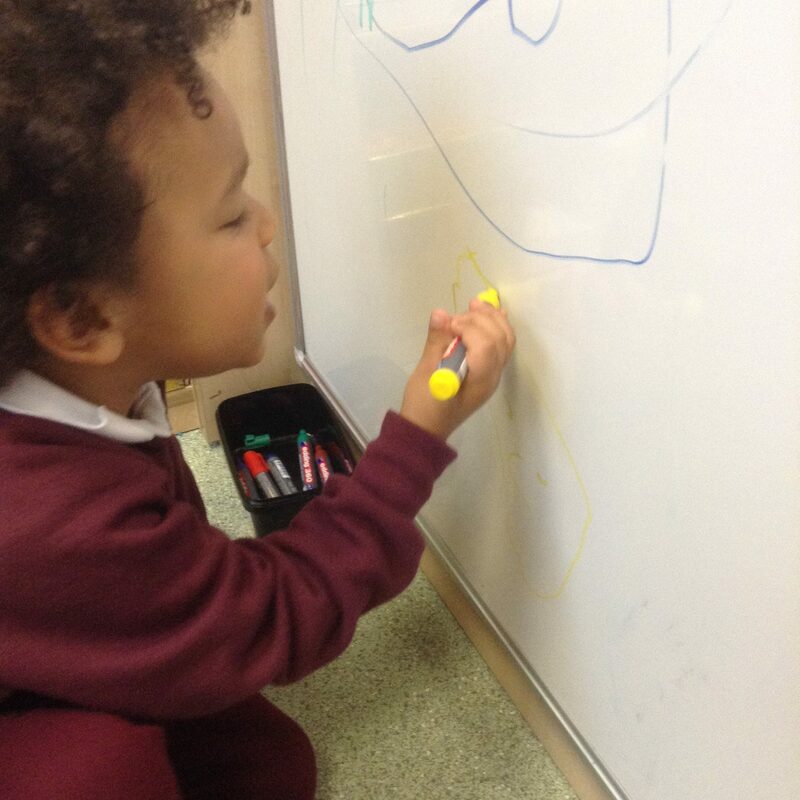 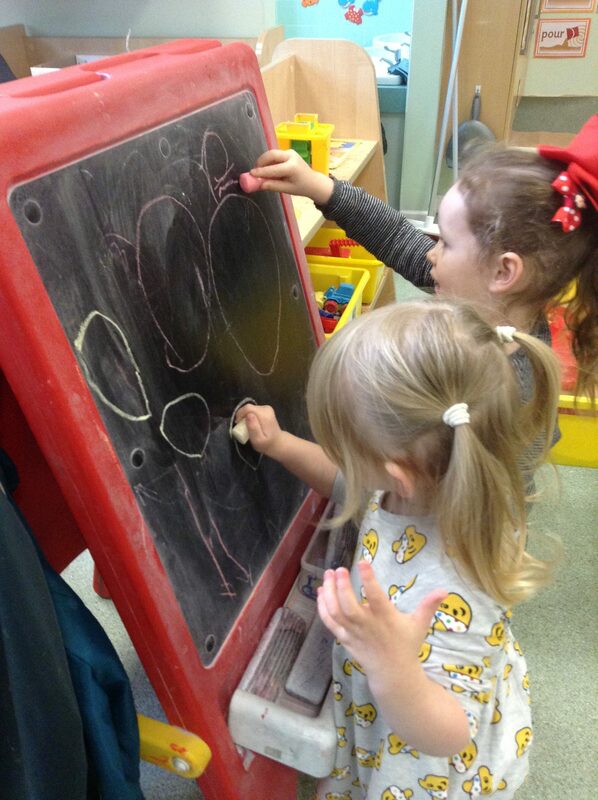 Super concentration and focus by such young children!